…4…3…2…1…Launch That Book! Altitude Takes Flight. 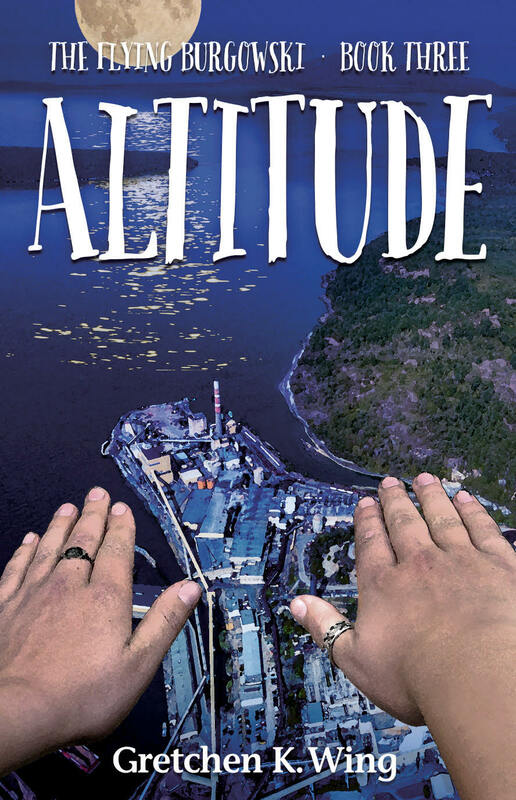 Ladies and Gentlemen, Young Adults and Adults of any age, it is my delight to present to you…Altitude, The Flying Burgowski Book Three. “To thine own self be true…” Yeah, right. I banked toward the warehouses, skimming the trees. Gotta find some way to USE my power…Reaching the first ratty rooftop, I hovered, quivering. If I could get Vivian back to the sky… put our powers together—What’s THAT? Not a seagull. This sound was coming from the alley below. A quiet wail—kittens crying. Was that rusty blue shipping container there before? I landed behind the gnarliest warehouse and peeked into the alley. From street level, the giant rusty container towered above me. The kitten-cries were definitely coming from inside. Maybe someone dumped a pregnant cat in there. The box was hinged at one end—a pair of doors belted with a big ol’ rusty chain and padlock. Why lock a cat in? Two syllables floated from the stinking metal monster. A word I recognized from my Mandarin Terms a Traveler Should Know: “Bāng wǒ.” Help. 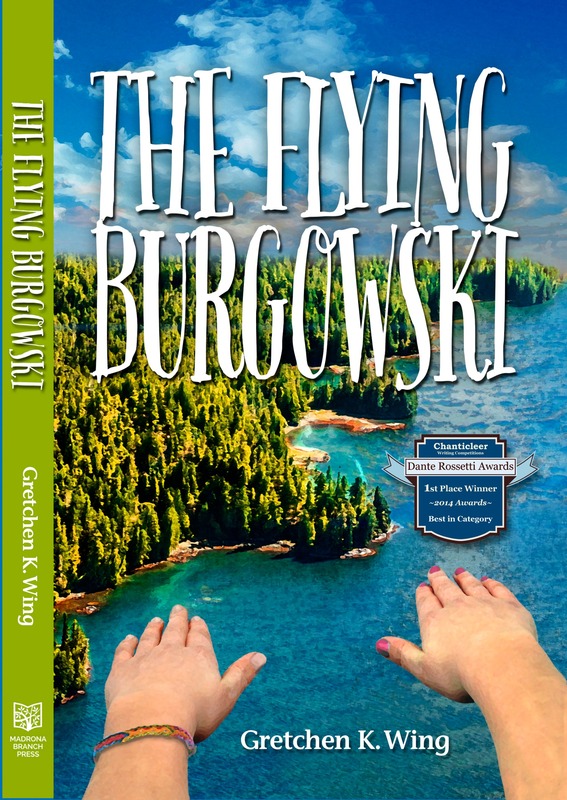 After a summer of betrayal and heartbreak and an epically rotten year, 16 year-old Jocelyn (The Flying) Burgowski is fleeing family and friends on Dalby Island for school on the mainland. What good is flying if it wrecks relationships? The guy she fell for almost destroyed her power. Now, discovering the ugly underbelly of mainland life, has Joss stumbled upon a fellow Flyer—only to bring her down? Confronting the dual forces of magic and maturity, Joss must face the question: what does “to thine own self be true” really mean? What if you had a superpower…and it wasn’t enough? 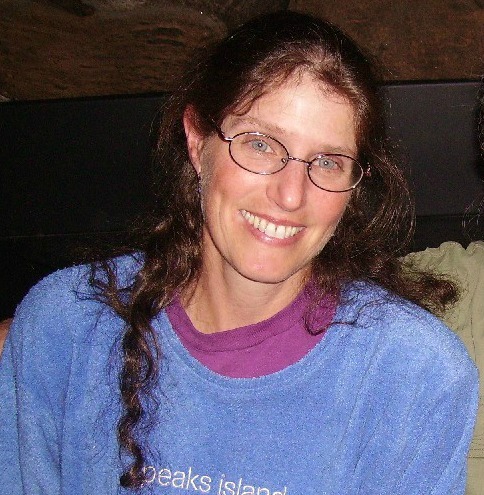 Jocelyn Burgowski was turning 14 when she first invited me into her (fictional) life. Now she’s 16 (can you tell?). And sure, she can still fly–but nothing else is working. Broken heart, broken trust, tanking attitude, friends MIA, Jocelyn feels herself turning into a female Hamlet. I needed to fly in the worst way. Literally. The best way is when the energy fizzes through you like your blood has sparkles, and boy you better elevate fast if you don’t want to explode. The worst way—that’s what I was doing. Escape, with eggs and toast turned to cement in my stomach. I launched vertically from the front porch like Ironman—harder than one-two-three takeoff steps, but better than smashing into the trunk of our giant cedar—and rocketed over the woods. I flew at treetop level in fast circles, happy not to live smack in the middle of Dalby Village anymore. But not happy about anything else. You thought they wouldn’t find out? C’s are one thing. Skipping an entire Julius Caesar Unit Exam means a big fat F.
What do you want to call it, Flygirl? Fell apart? Decided to take over Michael’s role? Started Acting Out? Anyway, the downhill slide that had started in September was hitting bottom last May, and I needed to get the hell out. So I flew to the edge of the village, landed behind our old store and walked to Louis’s. Hamlet I could relate to. And Louis, I remember thinking grimly, could be like Hamlet’s bud Horatio. Louis would fly with me and help me sort out what to do about Mr. Evans. Or not. Louis isn’t really about advice. But he’d listen like Horatio until I figured it out. So, what I said in that Louis-email I never sent? It’s true, I don’t remember the last time we flew together. Sure wasn’t that breezy day in May. “Hey, sweetie!” Shasta, Louis’s mom, sang like she’s done since I started barging into their kitchen at, like, age seven. She was washing dishes while her partner Janice dried. “Is it a party, then, Joss? You guys want to make cookies? Louis had been hanging around with Erin a lot—duh, they had practically all their classes together, like freshmen do. But since when did they hang out on weekends? Can I get something straight? I like Erin. She’s a soccer stud, and she’s pretty much caught up to Savannah in geometry since she bumped up to our math class. She laughs at my jokes. She helps Louis with algebra. And writing. And everything else I used to help him with. It’s just, I was REALLY hoping to fly with Louis right then. “Hey!” they said together as I stepped into Louis’s teeny room. They were sitting hip to hip on his bed. “What rhymes with ‘metaphor’? We’re writing Mrs. Mac a birthday card,” Erin added, patting the bed for me to join them—like it was hers. I sat, squinching her and Louis closer together. “That’s what I ‘said it for,’” I responded automatically. Great, forgot Mrs. Mac’s birthday too. Self-centered moron. Knock it off, Joss. Tell the story. “’Sup?” Erin chirped. She was in pigtails, wearing her green softball uniform—yeah, she’s a pitching stud too. Me and my Horatio-buddy are NOT up, with you here. “When’s your game?” I countered, looking at their feet parked side-by-side like cars in cozy garage. “Oh, like, an hour.” Erin stood and stretched her arms, and Louis, on the bed, did the same, as if they were connected by an axel. I knew he’d grown taller and muscley-er because, duh, when a person flies doubles with you for over a year, you get to know their body—damn, that doesn’t sound right. You KNOW what I mean, okay? It’s just, he stopped feeling like the same ol’ shrimpy Louis a few months ago, but that was totally okay because he still WAS his same ol’ self. But last May, I was surprised to see how, like, toned his arms had gotten. He was still getting over the shock of being good at baseball. “Oh, shoot! Are we playing at nine? Louie, sorry, we’ll finish later. Come watch me, ’kay?” And Erin jetted out of there. “See ya, Erin,” I called. It’s just—I wasn’t used to it then, okay? Louis and Erin. Erin and Louis. It’s not like I needed to keep on being his only friend, like I was for years and years and years. But jeez, couldn’t he have warned me? And “Louie?” Gimme a break. “Hey, wanna go fly over their game?” Lying hypocrite. I knew perfectly well there wouldn’t be a game to fly over for another hour, and flying over a crowd is verboten. But Old Louis would have suggested something better, like swoop-overs of Whittier’s Bluff, or experimenting with flying just under the fiercest layer of wind, daring it to flip us, like we’d done in…wow. February? A chill reached down my chest, even as I felt my face turn red. “Right,” I said, like sure, I came all the way over here to tell you the game schedule. “Hey, come by my house later if you—you know. Want to go up tonight.” Awkward lying hypocrite. I’d never had trouble inviting Louis to fly before. “She’s not really into it these days,” I said, flattening the curling edge of Louis’s Seattle Mariners poster. He never used to have such boy-stuff in his room. “Beth? Not into flying?” Louis’s frown disappeared as he struggled out of that “Visualize Whirled Peas” T-shirt I’d given him for his thirteenth birthday. “I Saw her yesterday over the Spit. Maybe she just doesn’t want to fly with you.” He turned his back, letting the shirt drop to the floor. “—reminds her of when she wasn’t? Or Fourth of July, almost gettin’ grounded? Yeah, I get that,” said Louis. His bright hair reappeared through his green jersey like a woodpecker in a bush, and my heart cracked a little: You always get it. But turning around, he was still frowning. “Hey,” he nodded toward his baseball pants. “Right, see ya.” All I got was a grunt. So much for Horatio. Shasta and Janice offered me tea on my way out. I declined with a smile and head-shake, not trusting my voice. I walked back into the village. My stupid eyes were burning. My flight-urge felt as dead as my oldest friendship. But no way was I going home after that ominous phone call. I decided to go browse the half-price shelf at the bookstore. Where I bumped into the last person I wanted to see, after Dad and Lorraine. Bushy eyebrows appeared around the side of the mystery section. “Well, look who’s here,” said Mr. Evans. I was just writing about you in my journal, but I got too bummed so I decided to address you directly. I wish to extend my thanks. 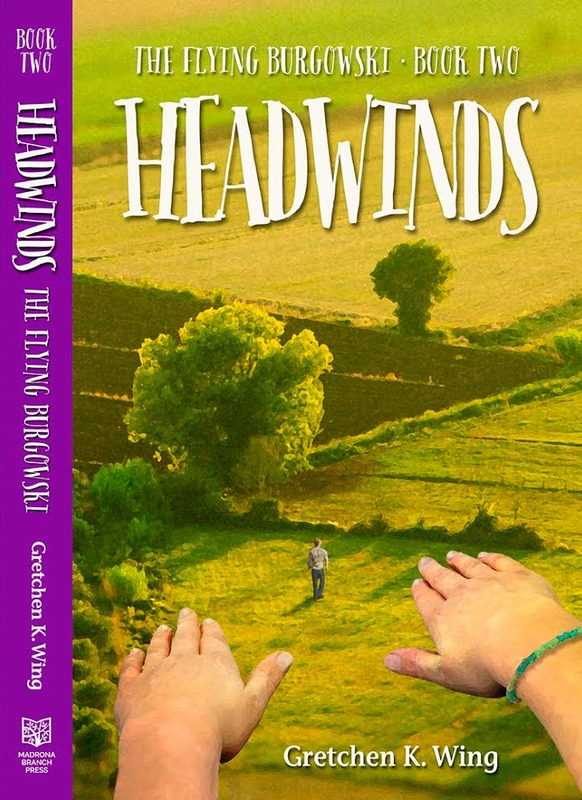 Thank you for saying, “Jocelyn needs to have her mind blown, or she’s going to drop out next year.” Thank you for saying, “What if she moved to where no one knows she’s a Flyer, where she can be a normal teenager for once?” And suggesting The Horizon Academy and Early Start at Coastal U. And helping to get me in. Hey, my guy Hamlet went away to school too, right? The thought of that escape literally saved my sophomore year—and yes, I know I mean “figuratively,” not “literally.” Put your red pen down. I’m actually being sincere now. Yes, I know I don’t need to say “actually.” I’m here at Horizon now, making new friends—it’s going to be great. As long as I can find a place to fly. Oh yeah—thanks for not freaking out when I showed you about flying, last fall. And for understanding about the enemies of flying, and how stupid and betrayed they can make you feel. Thanks for telling me I could talk to you about That Awful Summer and Standers and Whatshisname, if I needed to. It’s just kinda awkward when you stand there handing me tissues while I babble about how flying isn’t the problem. And talking to teachers isn’t the solution. I’m sixteen. I’m supposed to have someone of my OWN to listen to me. Thanks for visiting Wing’s World! See my next post for another peek inside Altitude. (Design by Bob Lanphear; hands photo by Heather Harrison; hands themselves: Anah-Kate Drahn) Thanks, all!